Planet Films is an award winning content creation company, offering writing and development services, the best crews, casting, name talent, production and post production services, music scoring and global distribution. La modelo y actriz cubana, Ivelin Giro, acaba de sumarse al elenco del filme independiente El Secreto del Retrato, que produce Planet Films y escribe y dirige Janet Álvarez González. Dra. 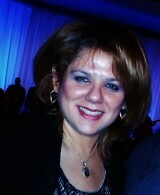 Janet Alvarez Gonzalez, Editor and Producer for Planet Films Corp.
Dra. Janet Alvarez Gonzalez, Editor and Producer for Adelphia Cable Promotion, Planet Films Corporation, San Juan Puerto Rico, Buenos Aires Argentina, La Paz, Bolivia. Pablo Blanco at the Goyas 2012. Pablo Blanco is the Editor of El Secreto del Retrato, a Full Length International Film with the participation of 12 countries in America and Europe. Planet Films is an award winning boutique film production company founded in 1999 by producer, writer, and director Dr. Janet Alvarez Gonzalez. Planet Films is a union of respected and established producers, actors and directors who with their track records of great successes, direct access to established talent and directors, and strong personal relationships in the entertainment industry. Planet Films is uniquely positioned to produce commercially and critically successful pictures to meet the new domestic and international market opportunities in independent motion picture film-making. Planet Films is committed to bringing moviegoers the most original stories. Planet Films provides the highest quality service at the lowest possible cost. Planet Films is a one stop Texas shop, offering writing and development services, the best crews, casting, access to name talent, equipment, catering, post production, music scoring and global distribution. We keep our costs to a minimum in production and marketing so we can pass those savings on to you, the customer. Check our services and contact us to discuss your next project with Planet Films! ‘The Portrait’s Secret’ Movie Begins Filming on Monday in Dallas-Fort Worth, Texas.